These cute little caterpillars are currently climbing and inching their way all around our house. With just 2 supplies, make your own simple and perfect little crafty pet. 1. Cut your pipe cleaner to your desired length. Our red caterpillar has been cut in half and the purple caterpillars are 1/3 of a pipe cleaner. 3. 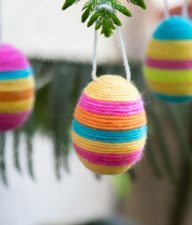 Leave 1/4 of an inch at the bottom and 1 inch at the top of pipe cleaner. 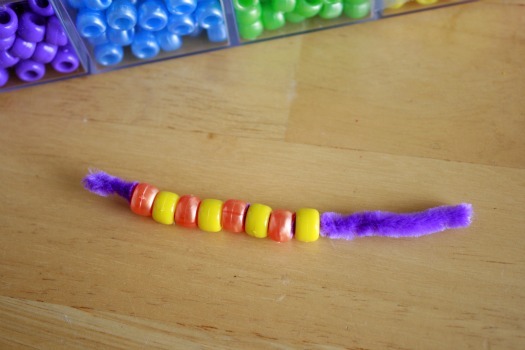 Curl up both ends to help the beads stay on. Now bend your caterpillar in the center to give him or her the look of inching along. Who knows, maybe it will turn into a beautiful butterfly soon. 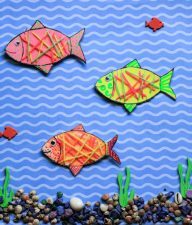 I am thinking that I will use this activity for a college class that I am taking and I need to do a presentation on fine motor skills. I think this is a great little project, but for what age levels is this? I need to state that on my lesson plan. How fun! This is something you could easily start with a 2 year old. 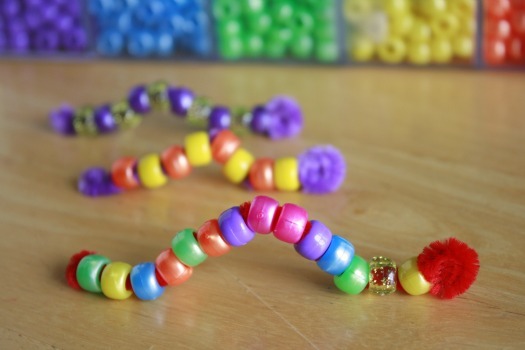 Those pony beads are big enough that children that young could start to practice adding them to pipe cleaners! And the age goes up to 8 yrs or 10. 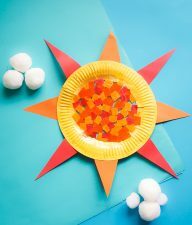 Kids can get really creative with these, building with them at an older age. 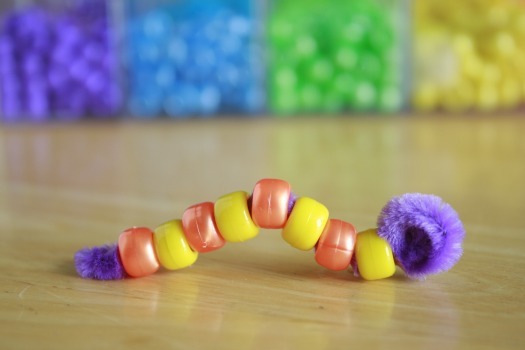 My granddaughter loved this idea and although we did not have these coloured pipe cleaners, she insisted on making a few caterpillars. They turned out quite well and she could not wait showing them to her mother when she came back from her job. 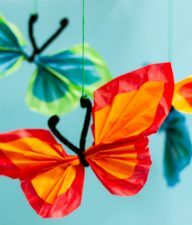 Such a nice, easy craft you shared here. Thank you. 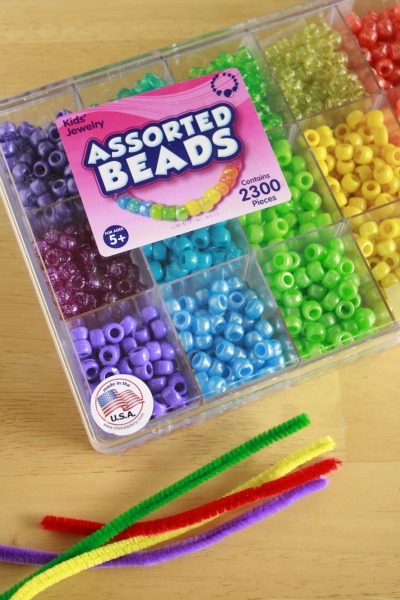 I like your ideas for the butterfly beads. Yay! Perfect craft for today. We looked through our craft book all morning looking for something to do, but for almost every project, we were missing a necessary item or two. This has been a fun afternoon project for my 3-year old daughter and 6-year old son who both happen to love caterpillars. I know, you can’t beat only two supplies! What a fun project. Cute caterpillars.